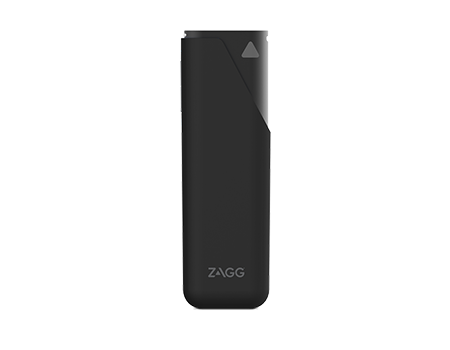 The ZAGG Power Amp 12 features 12,000mAh of portable power, two USB ports, and a bright LED flashlight. Avoid the pain of not being connected. The ZAGG Power Amp 12 keeps you up to speed by delivering 12,000mAh of power everywhere you go. And with two USB ports, that each deliver high-speed 2.4A power, you can keep your devices charged, or share the portable power with a friend so you never miss an update. Plus, when you’re playing late, the Power Amp 12 features a bright LED flashlight to light the way.